Address: 6020 Midnight Pass Rd. As a beach aficionado's paradise, Aloha Kai lives up to its name, meaning, "Love the sea." Located directly on the azure Gulf of Mexico waters and powdery white crushed quartz sand of Siesta Key, it would be hard not to fall in love with this seaside gem. Aloha Kai is an outstanding choice among investors as it resides on the sands of America's most beautiful beach, also one of the top ten beaches in the world. This eight-mile barrier island contains activities galore and neighbors the charming and sophisticated city of Sarasota, providing endless entertainment, shopping, and dining options for even the most discerning palate. Condominium floor plans ranging in size from a 336 square foot studio to a 780 square foot two-bedroom villa provide affordable options for all. While many choose to call Aloha Kai home, it is an extremely popular investment for those interested in purchasing a part-time residence as well as an income producing property. The minimum one day rental policy and on-premises leasing office, only increases the appeal to prospective investors. Each charming two-bedroom cottage stands independent from the neighboring villas and provides covered parking for one vehicle. The simple elegance of the landscape lends itself perfectly to creating an ambiance of tranquility and a true Hawaiian retreat. Residents and guests enjoy the scenic cobblestone path, sprinkled with swaying palms leading throughout the five-acre grounds. Amenities include access to the private beach exquisitely furnished with lounge chairs exclusively reserved for Aloha Kai residents. Opposite the beach, lies an Olympic-sized, heated swimming pool as well as a recreation room available for gatherings and indoor entertainment. 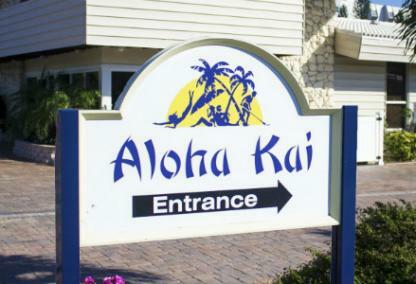 Centrally located on the main throughway of Midnight Pass Road, Aloha Kai is only minutes from world-reknowned Public Beach, Village, and Crescent Village shops. Aside from the beautiful beaches, Siesta Key is also famous for its laidback vibe and casual atmosphere. 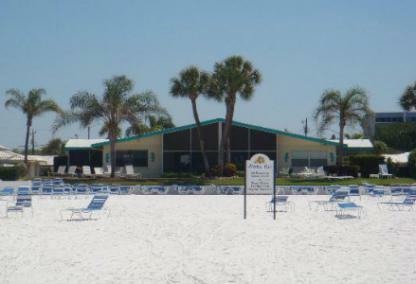 Live music at the Daiquiri Deck, Siesta Key Oyster Bar, and Beach Club draw locals and visitors alike. While it is not necessary to leave the island at all as it is full of superb dining, shopping and entertainment options, it would not take much effort at all to experience the best of what this popular destination has to offer. Also, centrally located to both bridges connecting the key to the mainland, with less than a twenty-minute drive, residents and guests may venture out to the lovely Downtown Sarasota, St Armand's Circle, Westfield Shopping Plaza, and many other area points of interest.